My [Peabody] experiences and professors helped me become a more responsive and effective educator. 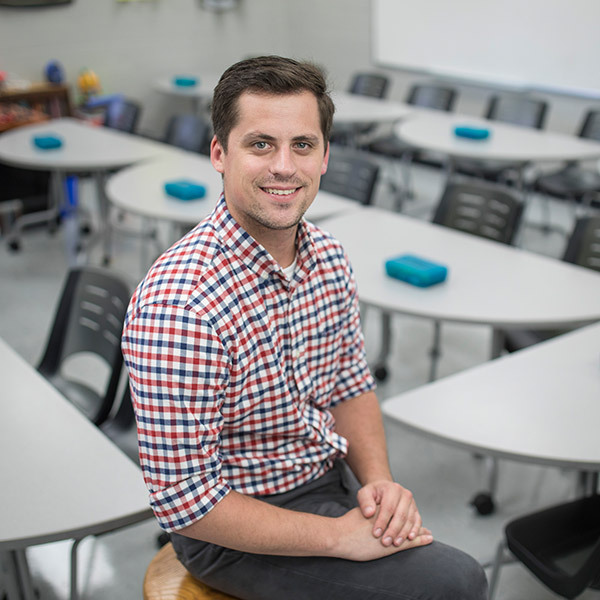 Dan Parsons is a Middle School Language Arts Teacher at John Trotwood Moore Middle School. Peabody has given me the necessary tools to provide all of my students an equitable literacy education. Prior to graduate school at Peabody, I taught middle school English Language Arts at a private school and earned my B.S in Middle School Education. Little did I know there was so much more to offer to my future students. Peabody not only expanded my teaching practices, but also transformed my teaching philosophy. In my classroom, students are exposed to a variety of texts that expand not only their thinking but their perspective on various situations in today's society. My time at Peabody also made me realize the significance of accommodating to the social needs of all of my middle school students to help them best be successful. My experiences and professors helped me become a more responsive and effective educator, and I am truly grateful for my Peabody experience and education.